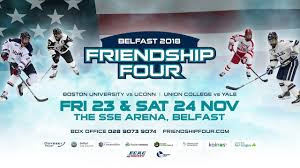 Terriers are now in Northern Ireland preparing to take on Connecticut on Friday in the opening round of the Friendship Four Tournament in Belfast. Puck drop is set for 2 p.m. ET with NESN broadcasting the contest. Having already visited Dublin, BU is doing some sight-seeing and visiting schools. Three Terriers were named to Hockey East’s Weekly Top Performers list following the weekend split with Maine: Bobo Carpenter (2G), Joel Farabee (1G) and David Farrance (game-winner in the 3-2 win on Friday). Maine’s Jeremy Swayman, who made 79 saves against BU in the two games was Goalie of the Week. BU Hockey’s new TV program—BU Terriers Unleashed—recently premiered on NESN and is now available on YouTube. Episode 1 focuses on: off-season activities, including the promotion of Albie O’Connell to head coach and the new player leadership group; NHL draft picks and October game results. 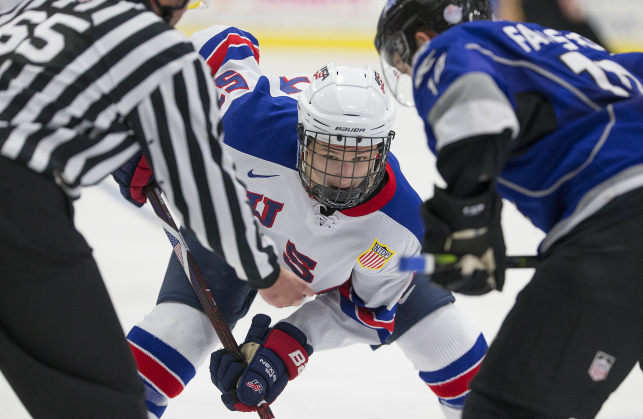 2019 recruit Trevor Zegras earned USHL Forward of the Week honors for the second time in three weeks. He scored a goal and an assist in both NTDP U18 wins over the weekend and has 12 points (5G, 7A) in his first six USHL games. Overall, Zegras has 33 points (12G, 21A) in 19 games. 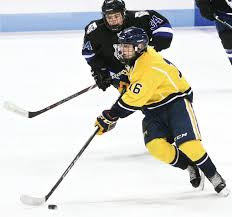 2021 recruit Jeremy Wilmer racked up five points—a hat trick and two assists—to lead the North Jersey Avalanche 16Us past New Hampshire, 10-5, in Tier 1 Elite league play. Then he assisted on two goals in the Avs’ 3-2 win against Boston Advantage, with 2022 recruit Devin Kaplan scoring New Jersey’s first goal. Wilmer leads the league in scoring with 37 points, averaging 2.85 points per game. Kaplan is fourth with 23 points. The Avs are 12-1-0. Going into this past Monday’s game, Nick Bonino and Nashville teammate Colton Sissons were tied for the NHL lead in plus-minus at plus-13. Terriers dropped a 4-3 decision to #4 Boston College on Tuesday night at Conte Forum. The Eagles took an early 2-0 lead, but BU tied the score late in the first period on goals by Jesse Compher and Mackenna Parker. BC went ahead in the second period and extended the lead to 4-2 in the third period, before Abby Cook's power play goal cut the margin to one. 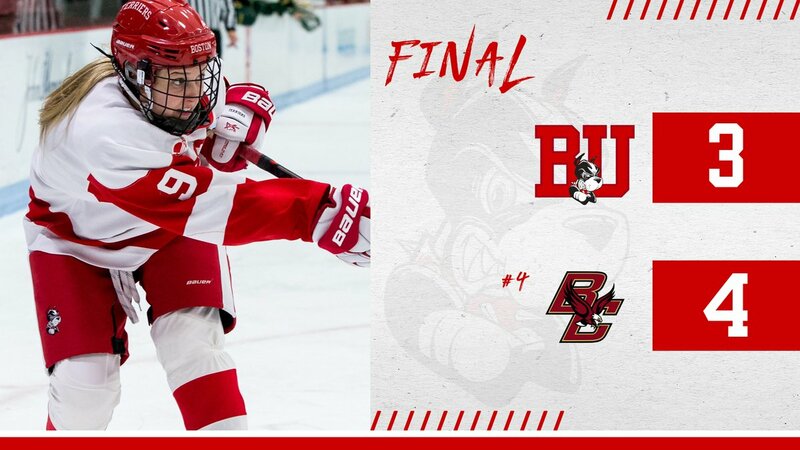 Despite pulling the goalie, BU was unable to score an equalizer. Corinne Schroeder stopped 33 BC shots.